Warrnambool City Council is committed to promoting opportunities for older residents to maximize their quality of life in Warrnambool. The Council recognises the importance of healthy ageing to enable a greater number of people to remain healthy and independent for as long as possible. Council’s approach to active ageing is based on recognition of the need to continually consult with older residents, to promote their continuing contribution and participation in the community and to respond to the concerns or needs that they identify. Council values the role of older people and seeks to provide opportunities to develop their individual interests, to remain independent and to participate fully in their communities to maximize their quality of life in Warrnambool. Older residents have a great deal to contribute to their communities. In general, they have the experience, skills, independence, fitness and desire to continue to play an active role in society. A number of initiatives have been taken to help ensure the city of Warrnambool is an Age Friendly City. Mobility maps had been specifically designed for visitors and residents who have limited mobility, including wheelchair users. It shows the location of accessible toilets, accessible parking bays and key buildings and services. Warrnambool’s motorised scooter users can travel around the city with confidence thanks to the Scooter Recharge Program. This program is designed to assist people who use scooters by enabling them to recharge their vehicles if they run out of power while out and about. The scheme gives people the confidence to get to and from their destination, knowing they have the support if needed. 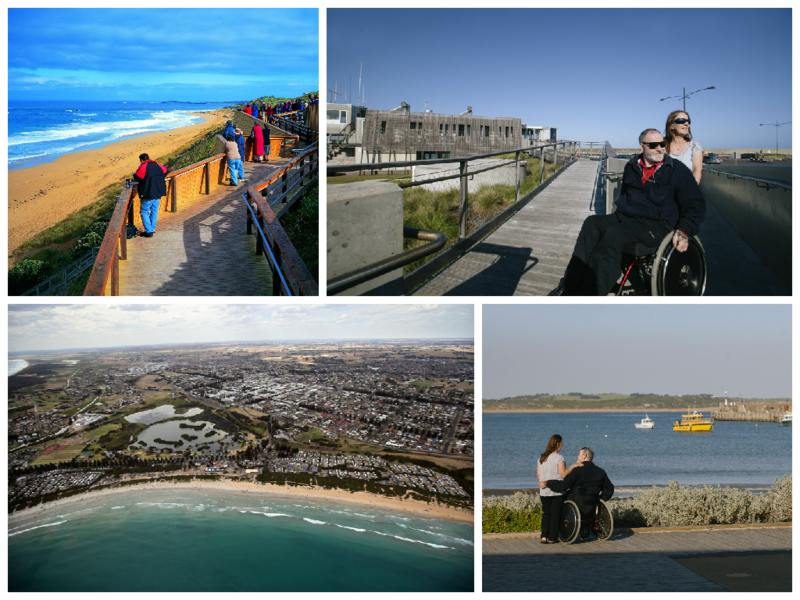 Two beach wheelchairs are provided through Warrnambool City Council and the Active Oceans program, and are housed at the Warrnambool Surf Lifesaving Club and the Foreshore Pavilion. Located near the Warrnambool Surf Club is a compliant Beach Access Ramp that allows year round access to the beach. The Community Programs delivered through Warrnambool City Councils Archie Graham Community Centre enable Warrnambool’s older residents to participate in a range of social, educational and physical activity programs. These include Hydrotherapy, Cycling and Walking programs, and strength training classes, computer and IPad Classes and a range of intergenerational opportunities. Council’s Street Trading Policy ensures pavements are clear of any obstructions and there is a clear path of travel where pedestrians have priority of use. Warrnambool also has well-maintained and safe green spaces, with shelter, toilet facilities and where seating that can be easily accessed. Recently Council was successful in receiving funding to implement an Assets-based Community Development and Systems Mapping approach to identifying opportunities for improving the age friendliness of Warrnambool. This project will seek to build the capacity of the local community to work on these opportunities over the longer term.